This month, Nintendo Switch sales have reached yet another significant milestone over its predecessor, the Wii U. 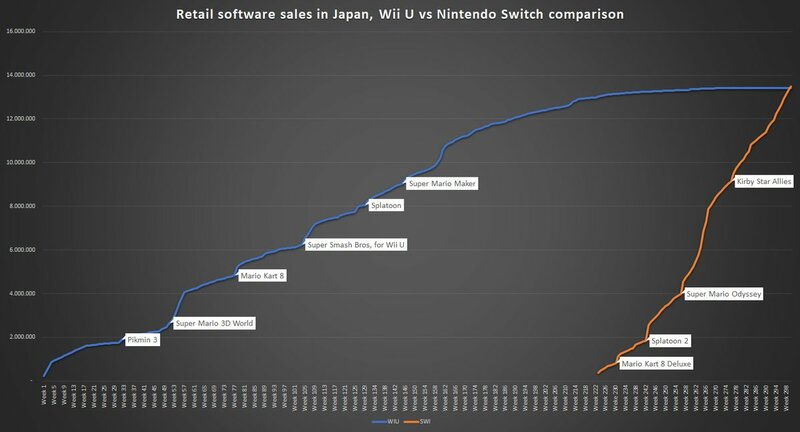 In Japan, the cumulative lifetime sales of all Nintendo Switch software sold at retail has surpassed the lifetime sales of all Wii U software sold at retail. 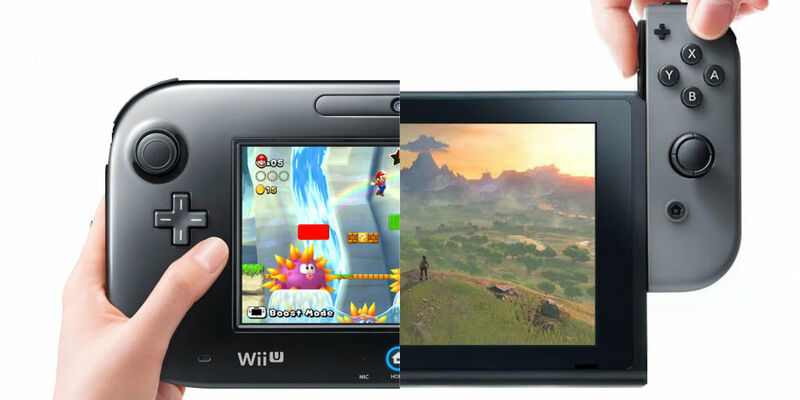 What this means is in 18 months, Switch software has overtaken 5 years worth of Wii U software sales (around 13 – 14 million units). Here’s a comparison chart by Game Data Library, where you can see how certain games pushed sales in Japan.